Well, it is not quite here yet, but it is really starting to feel like it and it will definitely be here before we know it!! Spring’s in Bloom is a colorfully fun kit to show off those awesome Springish tubes for your tags. 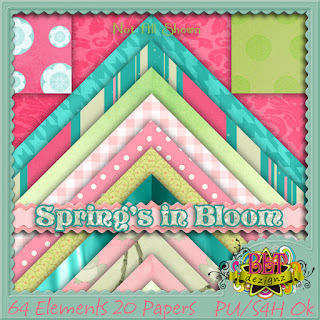 Or if you want to make beautiful Spring pages for your scrapbooks to show off those pics out in the yard…I have a version for that too!! 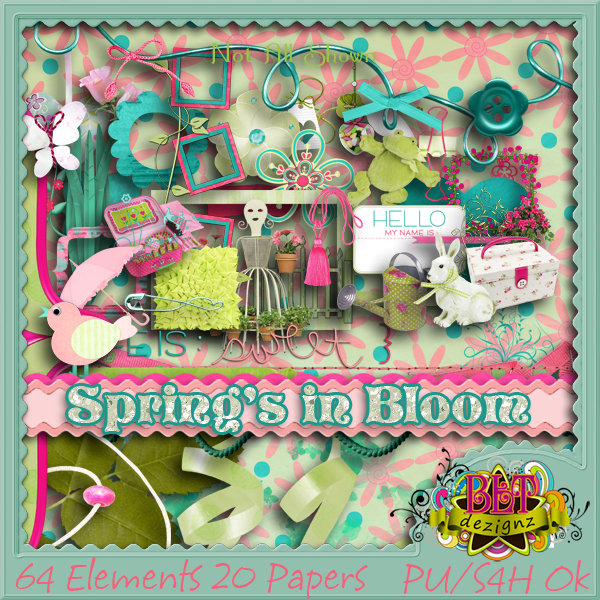 This kit has 64 elements and 20 Papers. Both versions are completely 300 dpi or greater. It can be purchased in Tagger Size HERE or Full/Page Size HERE.